Isabel González Whitaker, formerly features editor at InStyle, has been named deputy editor at Billboard. Janice Morris, formerly editor-in-chief at People.com, has left to join Twitter News. Betsy Gleick, formerly deputy editor of human interest at People, has left the publication. John Seeley, formerly New York desk editor at The Wall Street Journal, has left the publication. Ruth Altchek, formerly editorial director at Off Duty and WSJ., has been named an executive at News Corp.’s Strategy Group. Dale Hrabi, formerly deputy editor of Off Duty at The Wall Street Journal, has been named editor of Off Duty at the publication. Emily Nelson, formerly editor of Personal Journal at The Wall Street Journal, has been named senior editor of Personal Journal, Off Duty, and WSJ. Elizabeth Narins, formerly online editor of social media and special projects at Women’s Health, has been named digital fitness editor at Cosmopolitan. Gena Kaufman, formerly blogger at Glamour, has been named social media editor at People StyleWatch. Dan Hirschhorn, formerly continuous news editor at Time, has been named senior editor of news at the publication. Charlotte Alter, formerly web reporter at Time, has been named writer at the publication. Justin Worland, formerly intern at Roll Call, has been named breaking news reporter and fact checker at Time. Jonathan Woods, formerly senior editor of photo and interactive at Time, has been named senior editor or multimedia at the publication. Martin Gee, formerly senior designer at The Huffington Post, has been named senior art director at Time. Matthew Drake, formerly senior producer at NowThis News, has been named coordinating producer at Time. Sarah Meyer, formerly editorial assistant at Fiction Magazine, has been named assistant books editor at O, The Oprah Magazine. Stephanie Araujo, formerly intern at O, The Oprah Magazine, has been named assistant to the creative director at the publication. Lindsay Hunt, formerly associate food editor at Real Simple, has left the publication. April Franzino, formerly beauty editor at Self, has been named beauty editor at Good Housekeeping. Shannon Bond, formerly general assignment reporter at The Financial Times, has been named U.S. media and marketing correspondent at the publication. David Kang, formerly chief digital officer at Wenner Media, has been named chief revenue officer at Rolling Stone and Men’s Journal. Gus Wenner, formerly digital director at Rolling Stone, has been named head of digital at Wenner Media. Hallie Chrisman, formerly senior publicity director at KCD, has been named VP of PR at the company. Max Orloff, formerly senior publicist at KCD, has been named U.S. PR manager at Stella McCartney. Michele Zatzkis, formerly senior PR manager at Hearst Magazines, has relocated to North Carolina. Ashley Miller, formerly account executive at Parasol Marketing, has been named senior account executive at SHADOW PR. Nick Carcaterra, formerly vice president at Susan Blond, Inc., has been named account manager at SHADOW PR. Danielle Marmel, formerly account coordinator at SHADOW PR, has named junior account executive at the company.Madeline Chambers, formerly editorial intern at The Daily Front Row, has been named PR coordinator at L’Oreal for Maybelline New York, essie, and Garnier. Erin Doyle Cronin, formerly account supervisor at Blue Sky Communications, has been named senior manager of PR at Burberry Beauty. 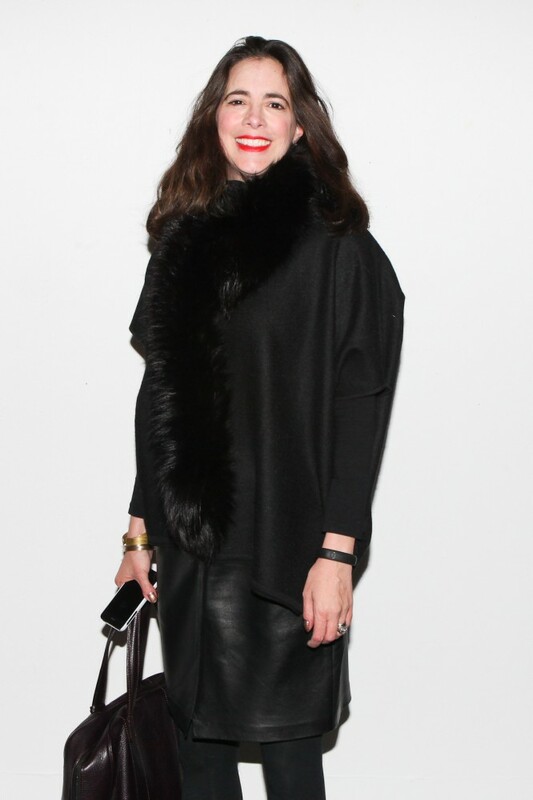 Shauna Bass, formerly freelance consultant, has been named senior manager of social media at Sean John. Alana Linsenbigler, formerly PR and social media manager at Eric Javits, has been named account manager at HL Group. Sarah Long, formerly senior account executive at LaForce + Stevens, has been named senior account executive of consumer brands at Edelman. Patrick Nicholas, formerly junior account executive at Syndicate Media Group, has been named account executive at The Eighth Floor. Leanne Drago, formerly consultant at Think PR, has been named hospitality director at the company. Tim Cush, formerly PR coordinator at Maguire Steele, has been named PR manager at the company. PR Consulting announces its representation of Ghurka in North America. MMPR announces its representation of Alphabet Bags, Kooba, and Olivia Burton. Starworks Group announces its representation of Coach for global VIP services and Cory Vines for U.S. PR. Collective Communications announces its representation of Well Kept. Siren PR announces its representation of Eyeko. D’Orazio & Associates announces its representation of Cristiano Burani. SHADOW PR announces its representation of Il Mulino Trattoria and Black Velvet Whiskey. Think PR announces its representation of Bespoke Post. LFB Media Group announces its representation of Grand Marnier.